This cake was for a Pinkalicious themed birthday party. I used a cupcake cake mold from local cake supply store to make the oversized cupcake. The cupcake was chocolate and the bottom was vanilla. This was an ADORABLE safari themed 1st birthday cake. It was covered with fondant and hand painted with food coloring to make the prints. The animals were also sculpted out of fondant and painted as needed. The #1 was made of white chocolate attached to a lollipop stick. 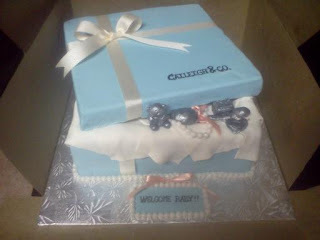 This was a Tiffany & Co inspired baby shower cake. Instead we used the baby's name Caileigh. 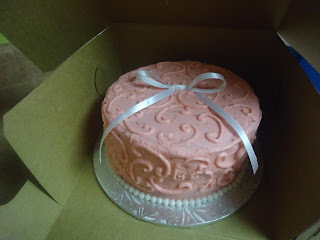 It was covered with fondant and trimmed with edible pearls. The charms were sculpted out of fondant then painted with silver luster dust to give it that shiny silver look. 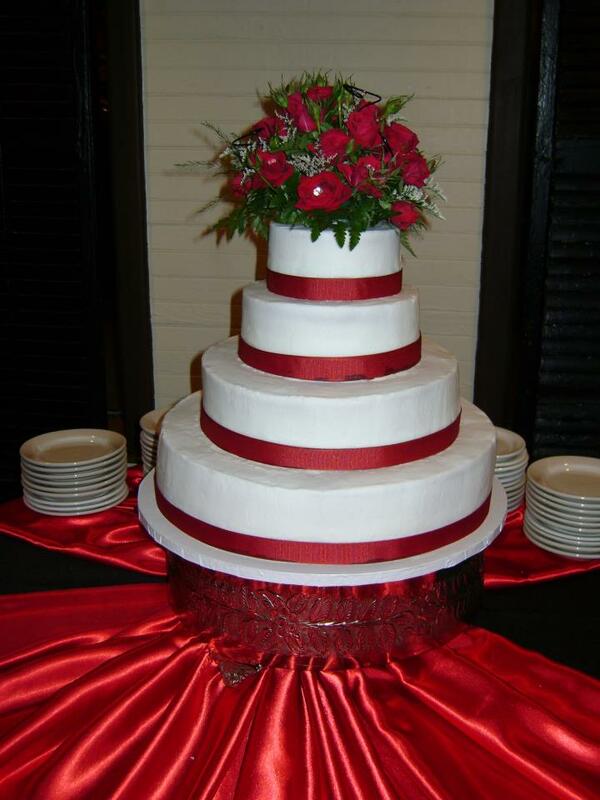 Red & White wedding cake. It was topped with a fresh flower arrangement. The bride chose a simple yet elegant decoration, but reserved her excitement for the flavors inside. The bottom was chocolate with raspberry filling, the next to bottom was Mint Chocolate chip, the 2nd layer was coffee flavored and the top was Vanilla with Oreo Filling! This was a cake made for a bridal shower. So simple yet so elegant! The designs were piped on and the ribbon is molded white chocolate. This cake was made for a 24th birthday party. She wanted polka dots and bows. The bow was made of gum paste and if you look very closely, the trim on the bottom is tiny molded chocolate bows. Cute little Christmas Tree Cakes for a Christmas Office Party. Got this idea off of Pinterest and thought it was awesome. 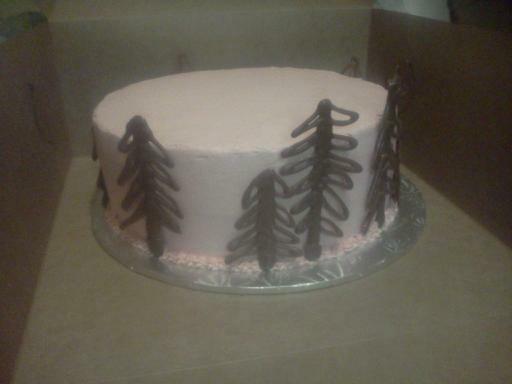 The pink cake was Vanilla cake with strawberry frosting filling and strawberry frosting and chocolate trees. The other was a chocolate cake with chocolate frosting and white chocolate trees. This cake was for a bridesmaids' tea. It was Vanilla cake with Strawberry mousse filling and strawberry frosting. It was trimmed with edible pearls! 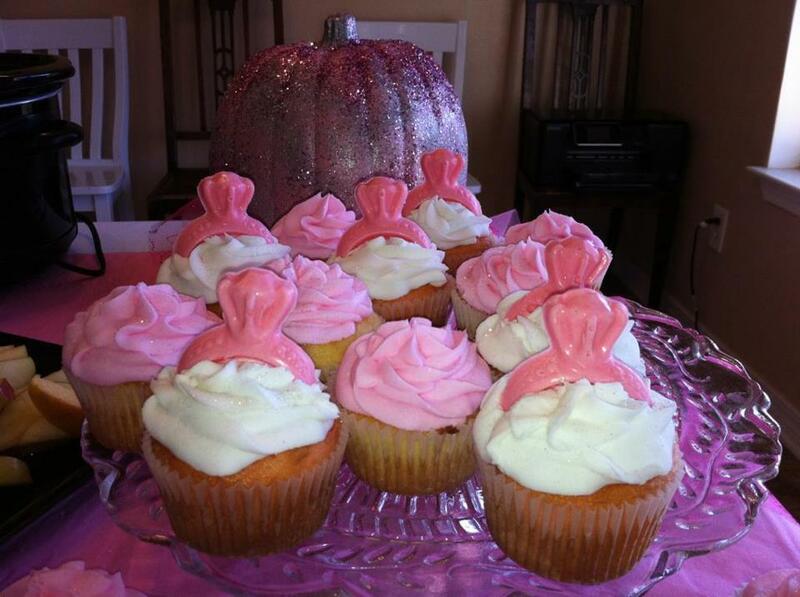 These were adorable cupcakes for a bridal shower. 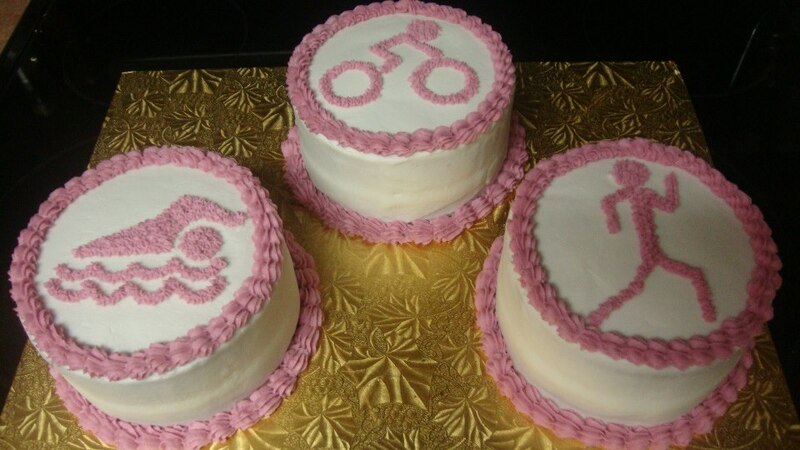 Half were pink cupcakes with white frosting and the other half were white cake with pink frosting. The rings were made of molded white chocoate. 90th Birthday cake with a Christmas theme. This was red velvet with buttercream frosting and a cream cheese filling. Decorations were piped on and the center plaque was made of molded white chocolate. 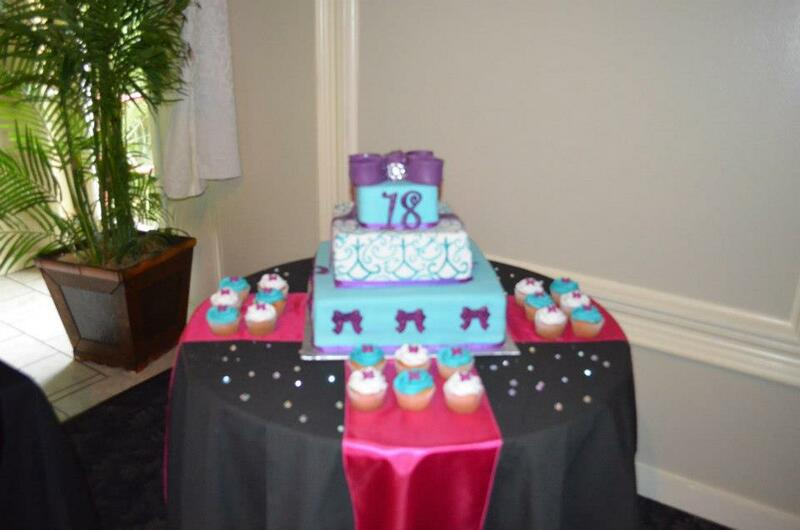 This cake was beautifully designed by the birthday girl herself complete with 18 matching cupcakes! The Bow was made of Fondant with a real pendant in the middle. The 18 was made of white chocolate as well as all the bows. 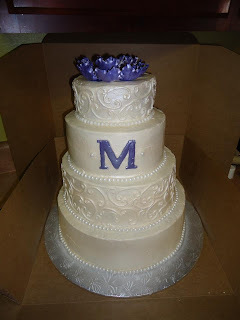 The middle layer was hand-painted onto fondant. 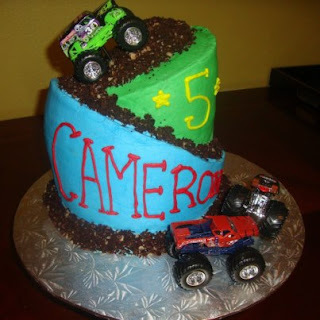 This was a cake to celebrate a brother & sister-in-law who were turning 40. Since born in the 70's they went with a Disco theme. The ball and people were paper and the rest was frosting. This was for a baby boy's first birthday. 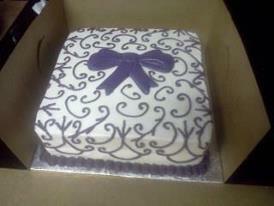 The cake was decorated with frosting and the trim was ribbon. 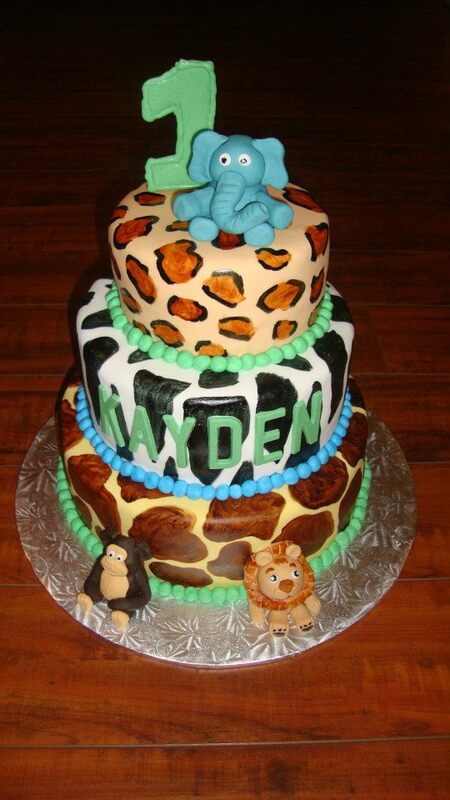 The monkey and name were made of fondant. I brushed the tips of the bananas with brown & green food coloring. 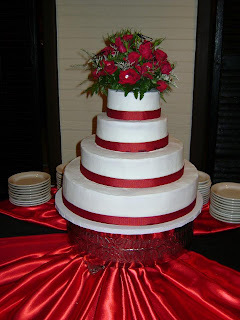 Very simple but cool cake. All decorations were frosting except for the Superman which was a plastic cake topper. Love making these beautiful seashells from molded chocolate. I brush on some brown luster dust to give them and even more real look. Simple but oh so cute. This was a round cake with a small V sliced out to make PacMan. The goblins were just frosted right onto the board. 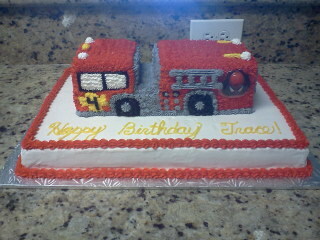 Super cute cake for a super cute 3 yr. old. 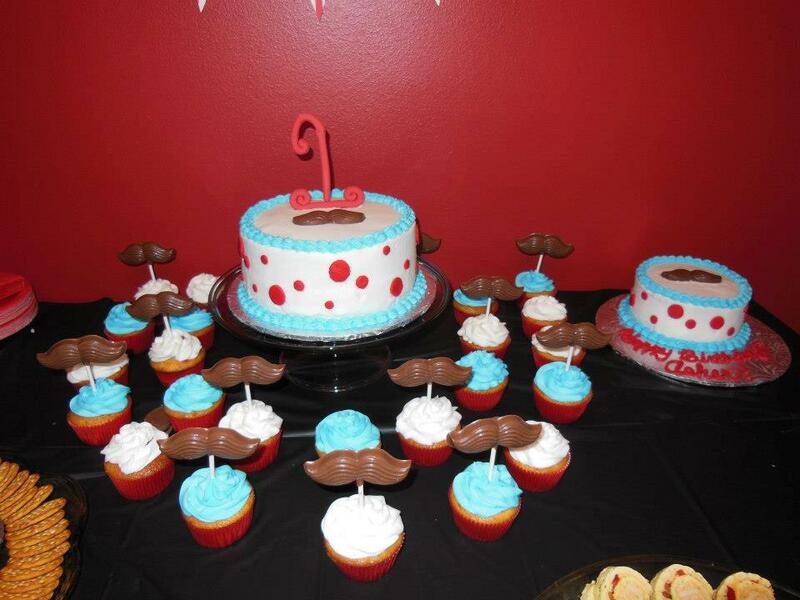 The octopus & hat were all fondant. The hat was fondant wrapped around a sugar cone. 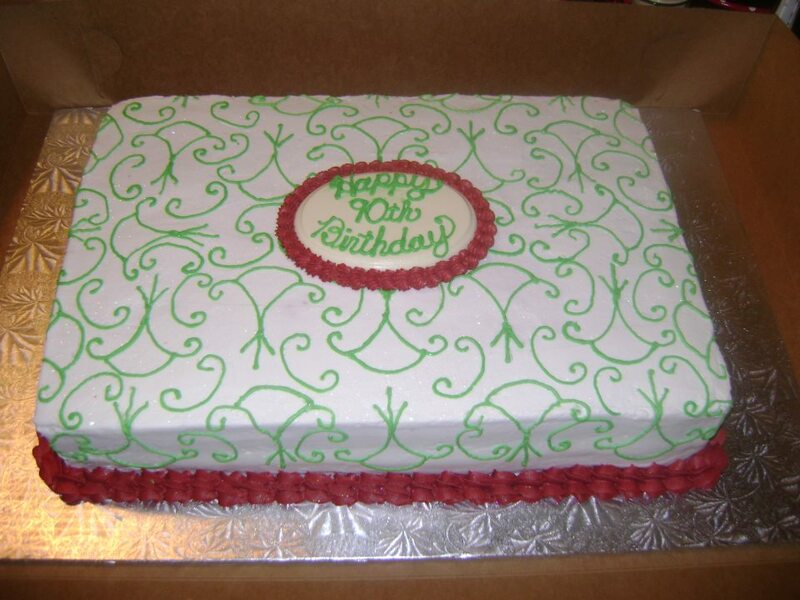 The bottom was strawberry cake with buttercream frosting. 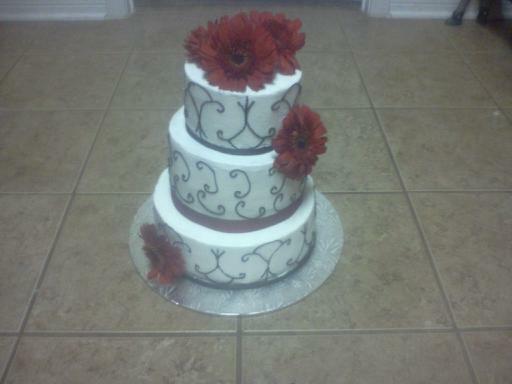 This was a BEAUTIFUL 2 tiered Mother's Day cake. It was all made of frosting except for the ribbon trim and the "Mom" sign on top. This was a large edible image that I ordered with the birthday girl's name on it. 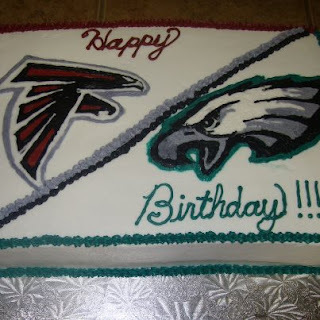 It was a half sheet cake with matching cupcakes. Yet another surprise from the bride to the groom! This particular groom is a drummer and the bride also had drum sticks engraved with their names & wedding date on them =) It was entirely made of fondant and the silver parts were pained with silver luster dust. I made this cake for my daughter's end of the year Softball party. It was entirely decorated with frosting. 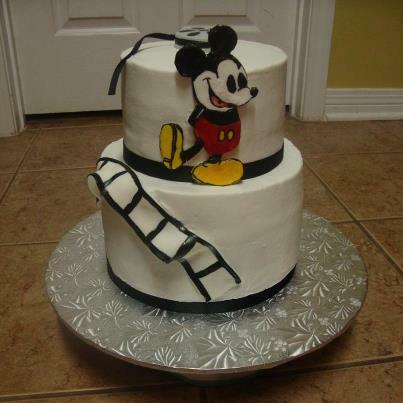 This cake was ordered by the bride for her groom as a surprise! This will now have been my 3rd surprise groom's cake & they are BY FAR my favorite ones to do. The groom is a musician so his bride sent me this picture then I had it printed on sugar paper as an edible image then constructed the cake from there. 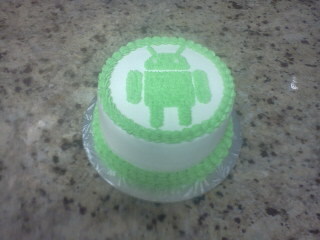 The actually iPad was made from fondant and the bottom cake was chocolate with chocolate buttercream. Elephant baby shower cake for Baby Owen. The Elephant was made of fondant (should've used gum paste though) and the remaining decorations were all buttercream frosting. This cake was made with chocolate fondant with cream ribbon trim and buttercream frosting accents. This was a chocolate cake with chocolate covered strawberries and chocolate roses as accents. The plaque was made of molded white chocolate. 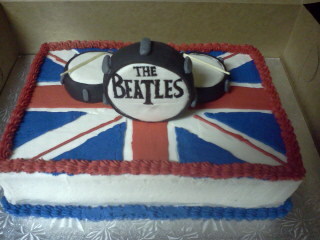 This was made for a young teenage girl who LOVES the Beatles. The drums were Rice Krispie treats covered with fondant. The drum sticks were toothpicks and the flag design was frosting. This was a cake I made to celebrate our Pastor's Anniversary with our church. He is an avid hunter & Alabama fan so, I mixed the two. 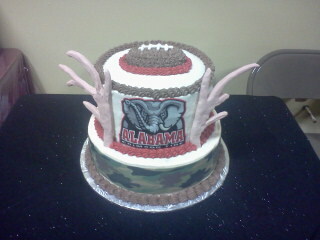 The Alabama logo was a licensed edible image. The football was made of rice krispie treats then frosted. The camoflauge was also an edible image and the antlers were made of gum paste. This was a cake to dedicate a new indoor baseball facility called "The Batter's Box" for Baseball Country in Tuscaloosa Alabama The logo was a printed edible image and the letters, bats, gloves & baseballs were made of molded chocolate. This cake was ordered for a birthday aboard a Dolphin Cruise!! The dolphin & shells were made of molded chocolate. It was a chocolate cake with buttercream frosting. 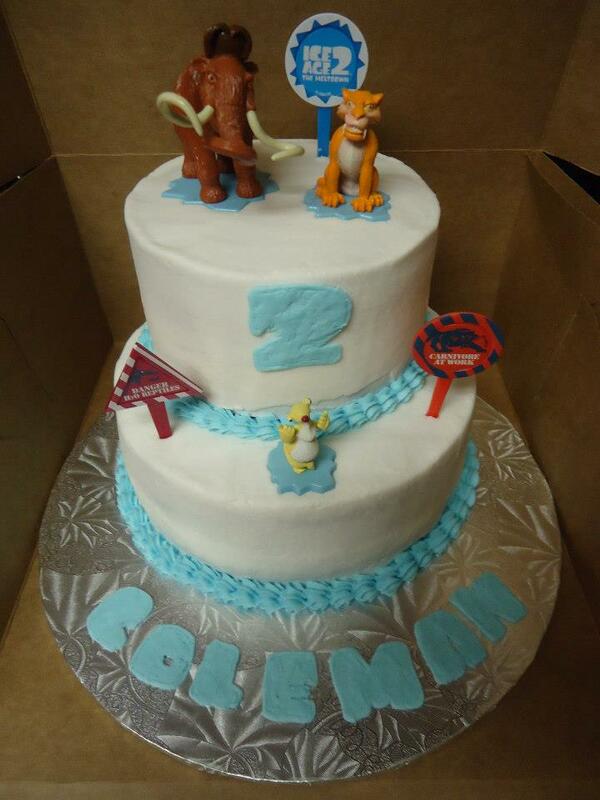 One of my good friends ordered this cake for her son who has recently become interested in boxing. It was almond flavored (her all-time favorite). The gloves and corner posts were made of fondant and the rest is buttercream. I had some extra batter & frosting so I whipped-up this cake and then sold it to a friend who wanted some daisies put on it. 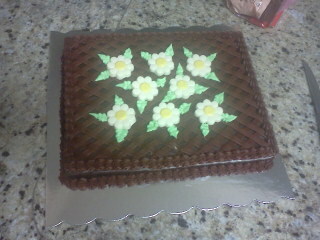 The flowers are made of molded chocolate and the leaves are buttercream. 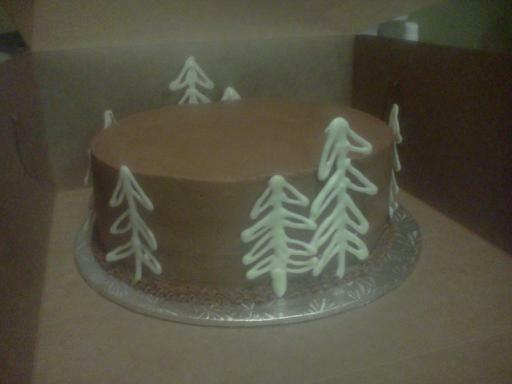 It was a chocolate cake with chocolate fudge & buttercream. This was ordered for a Deacon Ordination Ceremony. It was Almond flavor with buttercream frosting. 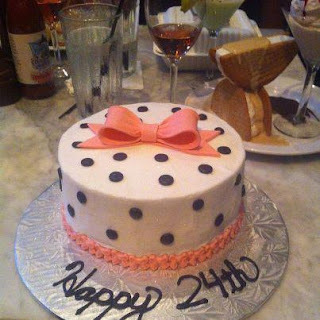 Such a fun cake!!! 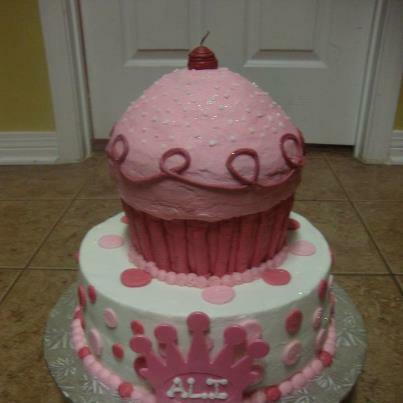 This was made for a sweet little girl's birthday party. The bottom was vanilla with buttercream filling and the top was chocolate with buttercream filling. The strawberries are little sugar creations that I purchase from my local cake supply store. This cake was a rainbow cake inside =) This was for my daughter's 3rd birthday. 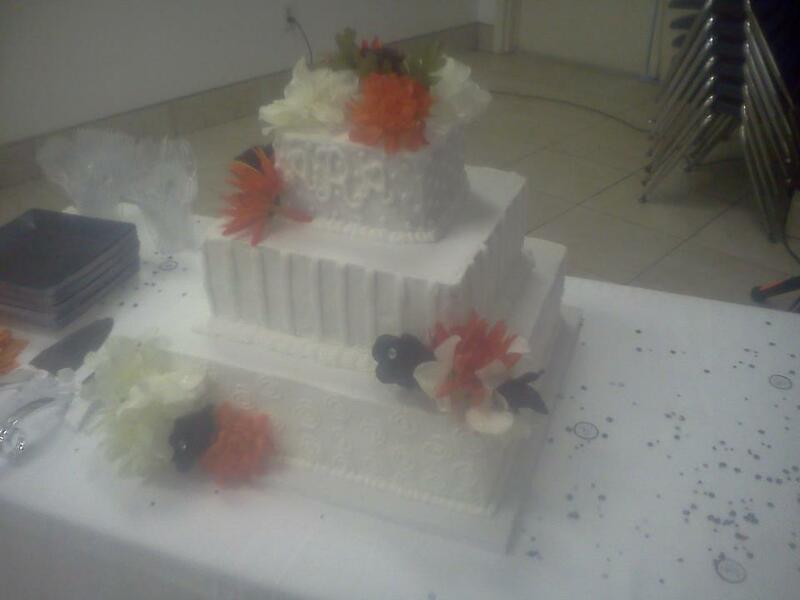 It was white cake colored for each rainbow layer and was frosted with buttercream frosting. 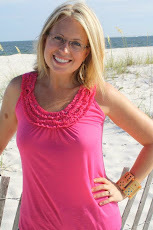 Thank you for stopping by Charity's Sunshine Sweets' blog! I hope that you enjoy looking around. For any questions that you may have, or to place an order, please click here to email me. I am 11 years happily married & a mother of 3 beautiful little girls. As a young child I took great pride in making cakes for my family. I experimented with all kinds of things to make each cake unique & different. 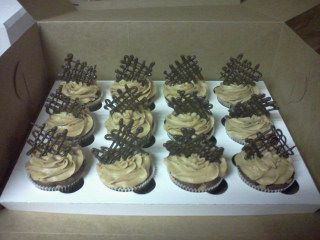 Over the past few years I have renewed my love for these sweet treats & now focus on custom designing them for others.